Seventy-five years ago today, Japanese forces executed a surprise attack on the U.S. naval base at Pearl Harbor, Hawaii, pulling the United States into World War II and forever changing the course of history. At the time of the attack, Glenn Miller&apos;s "Chattanooga Choo Choo" was the No. 1 song in America on the Billboard charts. Shortly after Pearl Harbor, Miller joined the war effort, leaving behind a lucrative life as swing music&apos;s biggest star. 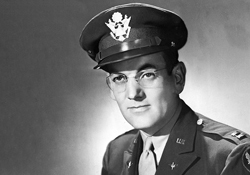 In December 1944, a little more than two years after America entered WII, a plane carrying Glenn Miller disappeared en route to France. Miller was declared dead shortly thereafter. The big band jazz pioneer was just 40. On the 75th anniversary of a day that will live in infamy, Billboard spoke with music journalist and historian Robert K. Oermann -- he&apos;s written eight books, scripted about 50 TV specials about music and continues to write a column at Music Row -- about Miller&apos;s wartime efforts, his death, and how WWII changed the type of songs being made in America. And for the curious, Oermann also lists a number of fascinating WWII-themed songs, covering everything from swing to pop to country. So when Pearl Harbor happened, Glenn Miller had the No. 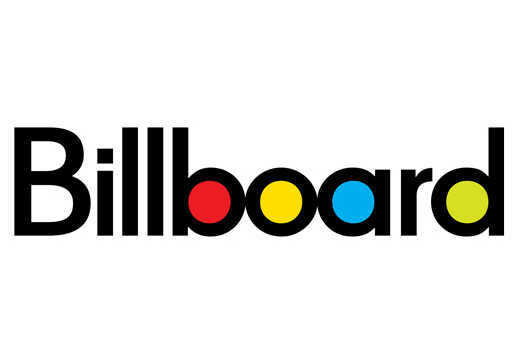 1 song on the Billboard chart already? Oermann: "Chattanooga Choo Choo" had been No. 1 for quite a few weeks by the time Pearl Harbor came along, it was the biggest hit of the year and the first record to be declared a Gold record for a million selling. It&apos;s a song about trains -- people traveled by train back then, especially the troops. That&apos;s how you went to your place of deployment. It was the first hit song of the war. And Miller joined the war effort shortly thereafter? Oermann: He voluntarily enlisted. He disbanded the Glenn Miller Orchestra, started a new band called the Army Air Force Band, where he was the director to entertain the troops. He went to England and profoundly affected music overseas. At that time, our swing music was just beginning to penetrate the British consciousness. His going to England and staying there for six months was considered by the British to be highly influential in the development of their music. He also became the most famous entertainer who died during the war. He died when his plane disappeared over the English Channel on a flight from England to France to entertain the troops in &apos;44. He disappeared on December 15, and he was declared dead three or four days later when they decided there was no hope of ever finding the plane. They still haven&apos;t found any wreckage. But his fame didn&apos;t go away when he died. They actually made a movie after he died starring Jimmy Stewart, The Glenn Miller Story [in 1953]. After "Chattanooga Choo Choo" fell off, what other kinds of songs became popular? Oermann: After we entered the war, the war songs poured out. Of all the big band leaders, Glenn did more war-oriented songs. He did "(There&apos;ll Be Bluebirds Over) The White Cliffs of Dover," "Don&apos;t Sit Under the Apple Tree (With Anyone Else But Me)" and "American Patrol." Glenn Miller lead the way with those but there was a boatload of war songs in &apos;42. There was "A Boy In Khaki, A Girl In Lace," the country industry jumped in with "There&apos;s a Star-Spangled Banner Waving Somewhere," "Praise the Lord and Pass the Ammunition," "The Fuehrer&apos;s Face" was a comedy record from Spike Jones. Kate Smith had "Wonder When My Baby&apos;s Coming Home," Bing Crosby had "I&apos;ll Be Home for Christmas," one of the saddest Christmas songs ever. And later there was Red Foley&apos;s "Smoke on the Water," Ernest Tubb&apos;s "Soldier&apos;s Last Letter" and Bob Wills&apos; "Stars and Stripes on Iwo Jima." How did the soldiers overseas experience music? Oermann: It was pretty much radio. In the case of the BBC, the BBC specifically censored songs that would depress the soldiers. They wouldn&apos;t play anything that was too sad or anything about cheating wives or cheating anything. They didn&apos;t want to demoralize the troops. The BBC was very careful what they&apos;d play. They censored "Paper Doll," the song by the Mills Brothers [a long running No. 1 during the war]. The lyrics are, "I&apos;m gonna buy a paper doll that I can call my own / A doll that other fellows cannot steal." But the Armed Forces radio network and the U.S. radio stations pretty much played whatever was popular. And the war affected record-making materials, right? Oermann: Yes, there was the shellac shortage. It was considered essential to the war effort to gather shellac, so they had people turn in their records to melt them down to make shellac for jeep tires or whatever. So there was a shortage of records being manufactured during the war, particularly in &apos;43. That year is when you have the fewest number of recordings being made. But it was all voluntary -- you did it because it was patriotic.